A few years ago I made pine cone wreaths for pretty much everyone in my family. I used real pine cones right from my North Carolina yard. I think they liked them. Now I'm obsessed with some less organic, but home made wreaths for Christmas. I could make these all day long. Here are some that I'm really digging. 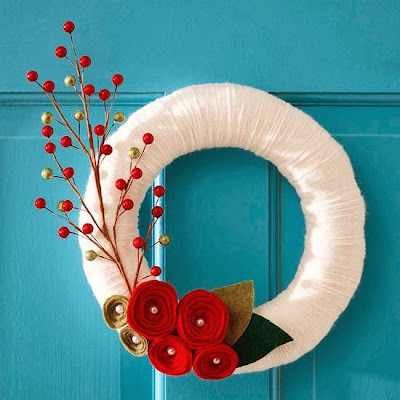 This white yarn wreath would be simple to make complete with felt flowers and faux berries. 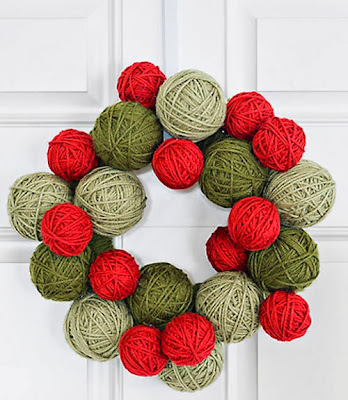 With some foam balls and yarn this wreath could be super simple to make. Medallions like this are pretty easy to find. 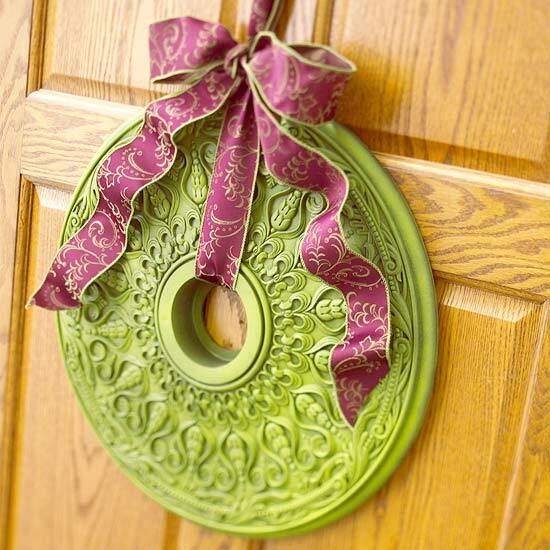 You could check your local hardware store or local thrift store and coat with spray paint. 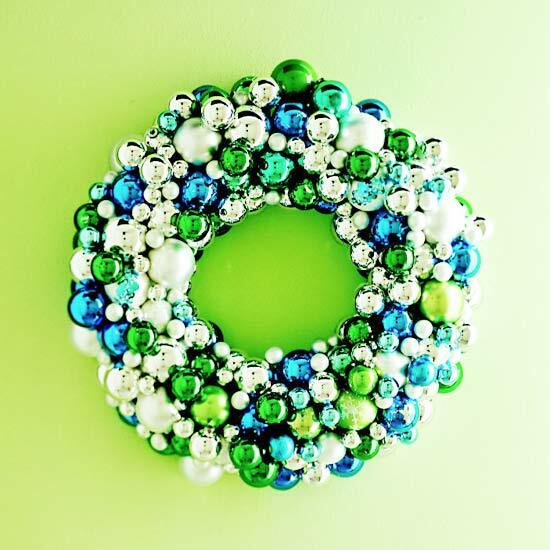 A few boxes of old glass ornaments from a thrift store and you could have a very flashy wreath. This one has to be my favorite. It looks like beautiful jewelry. And this is by far the hardest to make. 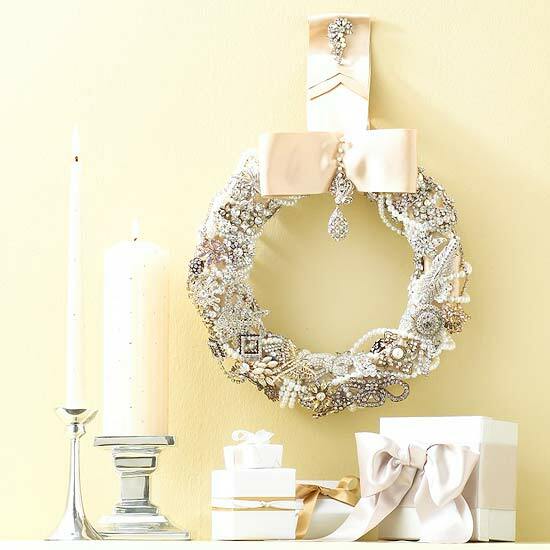 It would be fun to keep an eye out for some costume jewelry to create a wreath with. I hope it was fun to have Christmas in July! Never too early to start thinking about home made decorations and gifts.